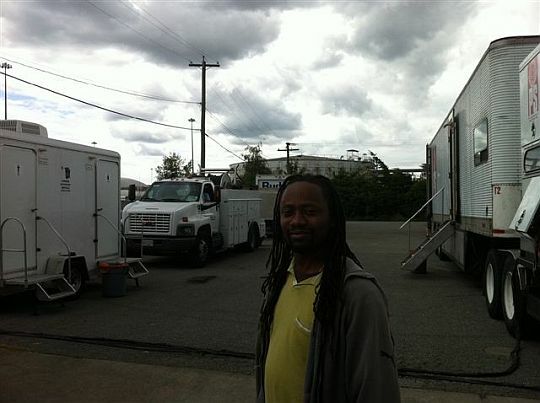 I was back in Vancouver to direct another episode of PSYCH, a very cool show on the USA Network. The cast and crew are great, and even though the show is set in Santa Barbera, they shoot it in Vancouver Canada. 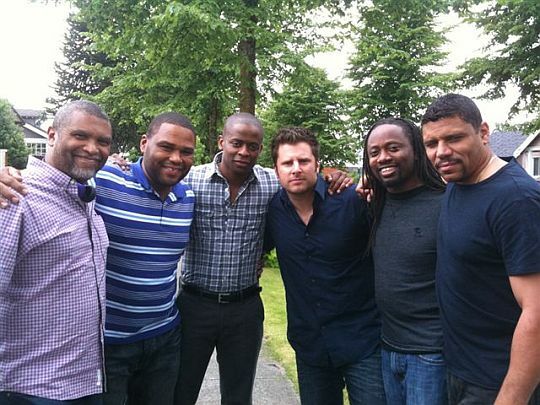 Here are several of the stars of the show…James Roday, Dule Hill, Tim and Maggie. I was shooting a scene where they were all looking at a computer screen with that the young lady playing a detective was operating, so I snapped a shot. This episode was written by co-executive producer Saladin Patterson, a great guy and a wonderful writer. He’s an MIT grad who written on FRASIER, THE BERNIE MAC SHOW (where we met) and the PSYCH episode I did last season that guest-starred Chi McBride. After that successful episode, the fine folks at PSYCH re-upped with another extra black episode. In addition to me, Saladin and co-star Dule, we also had guest stars Anthony Anderson and Stoney Jackson Jr! The episode is so blackadelic that Dule had to tweet about it! Back to Vancouver itself. Last year I enjoyed my time there so much, I encouraged the family to come up this time. And they had a great week. 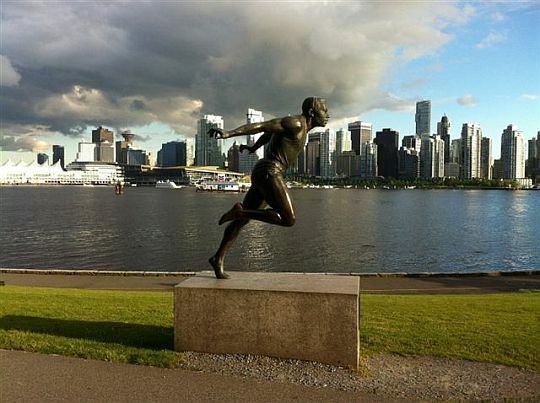 Vancouver is a very family-friendly city with plenty of great activities for kids. I guess not supporting a war machine and actually liking people means there’s plenty of money for nice community centers and parks. And national health care. 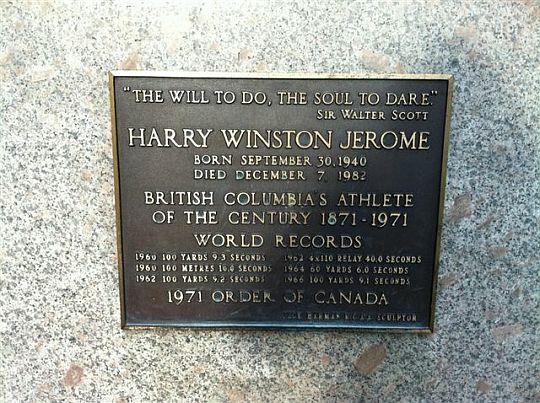 While most of the Afro Canadians are in Toronto, there is this very cool sculpture in Stanley Park in British Columbia. It’s the same statue at the top of this post. Very cool. 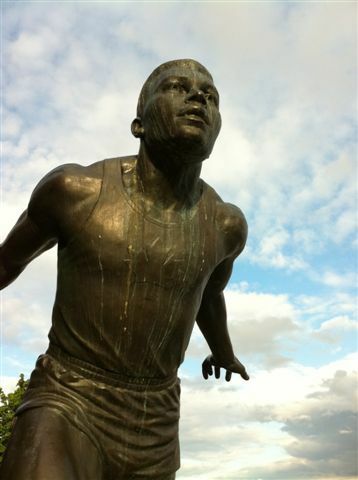 I hope Jesse Owens has a statue that cool somewhere in America.